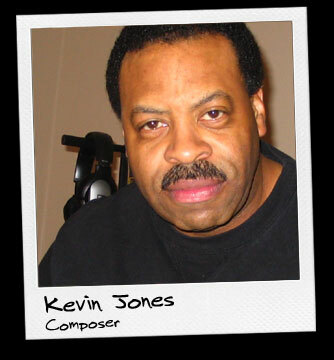 Kevin Jones, an independent composer whose music has been aired on The Young and the Restless, Saturday Night Live, America’s Most Wanted, Nickelodeon and syndicated television. Kevin’s music has been licensed through publishers DSM Producers and KMJ Musicworks and encompasses a broad range of styles. In addition to composing instrumental cues and scores, Kevin is also an accomplished guitarist.